To work with the Android operating system on a computer, there are emulator programs. We will consider one of them today. The genymotion program is a new product, and its main difference from previously announced emulators is in low PC power consumption. The considered emulator is available for the following operating systems: Windows, Linux, Mac. For serious application developers, a paid version will be needed, one costs 99 $ per year, and the second 299 $ per year. They are needed in order to be able to turn in those. Support, as well as the use of which is not in the free version of the emulator, the latter is available to any user. Installation does not take much time and is quite simple. 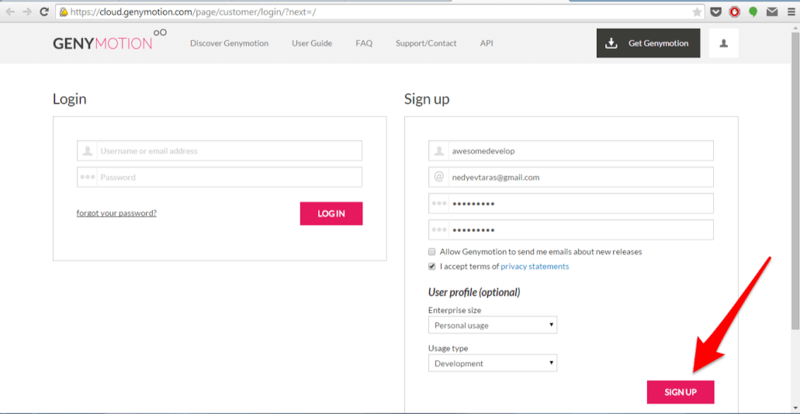 First you need to register on the official website genymotion with binding to the mailbox and download VirtualBox, genymotion on your PC. The process of installing the program is simple, and you can easily figure it out, despite the fact that it is in English. After running the emulator, you will see a window with the Play, Add and Settings buttons on the monitor. 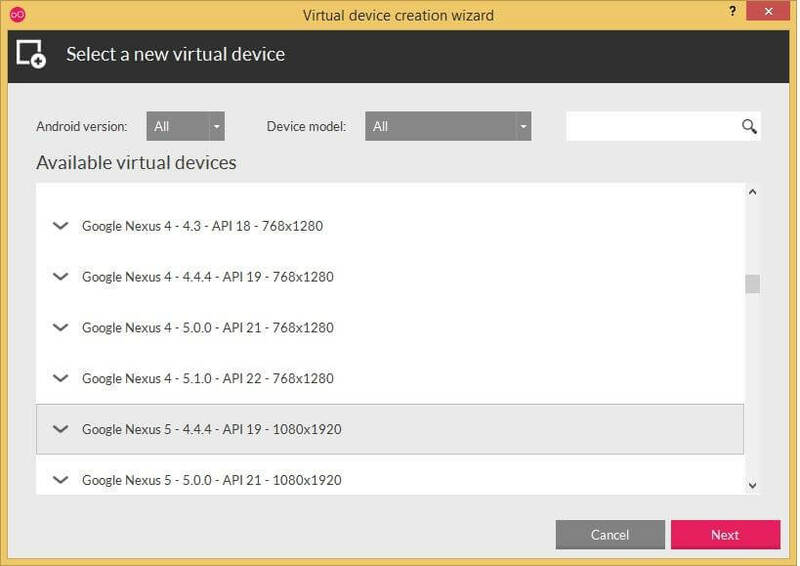 They will help run virtual device Androidand configure the application itself. Next, you need to confirm the launch of the installer, which will help add and adjust the new virtual device. Now you need to download the same device, for this you need to log into the genymotion account, click Connect, log in, there will be a list of available devices. Select the right and click Next. When the download is complete, only the main window of the genymotion emulator will remain, where you can start running and using the downloaded device. Compared to other emulators, genymotion has no issues detected when installing various applications with apk format. To do this, drag the required file to the main window of the gadget and follow the standard installation instructions. Changing the language in the emulator is also not difficult, you will need to go to the Settings, select Language & imput then Language and choose which one you need.